For the later monoplane fighter of the same name, see Hawker Sea Fury. The Hawker Fury was a British biplane fighter aircraft used by the Royal Air Force in the 1930s. It was a fast, agile aircraft, and holds the distinction of being the first interceptor in RAF service to be capable of more than 200 MPH. The Fury is the fighter counterpart to the Hawker Hart light bomber. The Hawker Fury was a development of the earlier Hawker F.20/27 prototype fighter, replacing the F.20/27's radial engine with the new Rolls-Royce F.XI V-12 engine (later known as the Rolls-Royce Kestrel), which was also used by Hawker's new light bomber, the Hawker Hart. The new fighter prototype, known as the Hawker Hornet, first flew at Brooklands, Surrey, in March 1929. The Hornet was a single-engined biplane, with single bay wings, initially powered by a 420 hp (313 kW) Rolls-Royce F.XIC engine enclosed by a smooth, streamlined cowling, but was quickly re-engined with a 480 hp (358 kW) Kestrel IS. It was evaluated against the similarly powered Fairey Firefly II, being preferred because of its better handling and its all metal structure compared with the mainly wooden construction of the Firefly. The Hornet was purchased by the Air Ministry at the start of 1930, and was subject to further evaluation, with a small initial production order for 21 aircraft (to be designated Hawker Fury – as the Air Ministry wanted fighter names that "reflected ferocity") placed during 1930. The Fury I made its maiden flight at Brooklands with chief test pilot George Bulman at the controls on 25 March 1931. The Fury was the RAF's first operational fighter aircraft to be able to exceed 200 mph (322 km/h) in level flight. It had highly sensitive controls which gave it superb aerobatic performance. It was designed partly for the fast interception of bombers and to that end it had a climb rate of almost 2,400 ft/min (730 m/min, powered by a 525 hp/391 kW Kestrel engine). An experimental prototype, the High Speed Fury, was built to test design features for Hawker's planned competitor for the F.7/30 fighter competition (the Hawker P.V.3) as well as for more general development. While the P.V.3 was unsuccessful owing to the use of the unreliable evaporatively cooled Rolls-Royce Goshawk engine, many of the improvements tested on the High Speed Fury were incorporated in an improved Fury II, with a cleaned up airframe and reduced drag, and powered by a 690 hp (515 kW) Mk4 Kestrel engine. These improvements gave improved speed and rate of climb. Sidney Camm designed a monoplane version of the Fury in 1933. It was not developed until Rolls-Royce developed what was to become their famous Merlin engine. The design was then revised according to Air Ministry specification F5/34 to become the prototype Hawker Hurricane. The Fury I entered squadron service with the RAF in May 1931, re-equipping No. 43 Squadron. Owing to finance cuts in the Great Depression, only relatively small numbers of Fury Is were ordered, the type equipping 1 and 25 squadrons. At the same time, the slower Bristol Bulldog equipped ten fighter squadrons. The Fury II entered service in 1936–1937, increasing total number of squadrons to six. Furies remained with RAF Fighter Command until January 1939, replaced primarily with Gloster Gladiators and other types, such as Hawker Hurricane. After their front line service ended, they continued to be used for training. The Fury was exported to several customers, being supplied with a variety of engines, including Kestrels, Hispano Suiza and Lorraine Petrel vee-type engines, Armstrong Siddeley Panther, Pratt & Whitney Hornet and Bristol Mercury radials. Three Furies were ordered by Spain in 1935, it being intended to produce another 50 under licence. The Spanish variant had a cantilever undercarriage design with Dowty internally sprung wheels, similar to that used on the Gladiator and was powered by a 612 hp (457 kW) Hispano Suiza 12Xbr engine, reaching a speed of 234 mph (377 km/h). The three Furies were delivered without armament on 11 July 1936, just before the outbreak of the Spanish Civil War. They were taken into service by the Spanish Republican Air Force, being fitted with machine guns salvaged from crashed aircraft. One Fury made a forced landing behind enemy lines due to a lack of fuel and was repaired by the Nationalists, although it was not used operationally, while the Republicans used one of the Furies in the defence of Madrid until wrecked in a crash in November 1936. Although phased out from RAF squadrons, the Fury was still used by some foreign air forces in the early 1940s; Yugoslav Furies saw action against Axis forces in the German invasion of 1941. On 6 April 1941, a squadron of Furies took off to defend their country against the invading German Messerschmitt Bf 109Es and Messerschmitt Bf 110s. In the resulting air battle 10 Furies were destroyed, almost the entire squadron. The commanding officer of the 36 LG was Major Franjo Džal, who watched from the ground as his men were slaughtered in their obsolete biplanes. In an unequal battle against superior adversaries, five aircraft were destroyed while taking off and eight pilots killed. Two more Furies and Bücker Bü 131 were destroyed on the ground. But of the attacking German aircraft, five Bf-109s and two Bf-110s failed to return, though most were non-combat losses, at least one was lost when rammed by a Fury. The other squadron of Yugoslav Furies active at the time of the invasion strafed enemy tanks and ground forces, some being lost to ground fire and one being destroyed in a dogfight with a Fiat CR.42. The rest of the Yugoslav Furies were destroyed when they became unserviceable or at the time of Armistice on the 15th. Ex-RAF Furies were also used by the South African Air Force against the Italian forces in East Africa in 1941 and, despite their obsolescence, destroyed two Caproni bombers as well as strafing many airfields, destroying fighters and bombers on the ground. A total of 262 Furies were produced, of which 22 served in Persia, 3 in Portugal, at least 30 in South Africa, 3 in Spain, at least 30 in Yugoslavia, and the remainder in the United Kingdom. Single-seat fighter prototype. Powered by a Rolls Royce F.XIA and later by a 480 hp (358 kW) F.XIS. Only one was built. This aircraft was slightly smaller and lighter than the Fury and considered by Hawkers as a separate type. Single-seat fighter version, powered by a 525 hp (391 kW) Rolls Royce Kestrel IIs piston engine. Single-seat fighter for Yugoslavia, similar to Fury Mk I and powered by Kestrel IIS piston engine. Six built by Hawker. One was delivered fitted with a 500 hp (373 kW) Hispano-Suiza 12 NB engine, with poorer performance, and was re-fitted with a Kestrel, while a second was later used for trials with a 720 hp (537 kW) Lorraine Petrel HFrs engine. Test and trails aircraft, used as a prototype; one built, British civil registration G-ABSE. Private venture. Single-seat high-speed trials and test aircraft, used as a prototype, which was developed into the Fury Mk II; one built. Single-seat fighter version, powered by a 640 hp (477 kW) Rolls Royce Kestrel VI piston engine. First flight 3 December 1936. Total 112 built. Revised single-seat fighter for Yugoslavia, powered by 745 horsepower (556 kW) Kestrel XVI piston engine, and fitted with low drag radiator and cantilever undercarriage with internally sprung wheels. Provision for an additional two machine guns under wing. Ten made by Hawker delivered 1936-37, with a further 40 licence built in Yugoslavia by Ikarus (24) and Zmaj (16). Single-seat fighter for Persia (now Iran). 16 aircraft powered by a Pratt & Whitney Hornet S2B1g radial piston engine, driving a three-bladed propeller, ordered in January 1933. A further six aircraft powered by a 550 hp (410 kW) Bristol Mercury VISP radial piston engine, fitted with a two-bladed propeller, ordered in May 1934, with several Hornet powered Furys re-engined. One trial aircraft, fitted with a 530 hp (395 kW) Armstrong-Siddeley Panther IIIA radial piston engine; one built for Norway. Modified version of the fury Mk I, three aircraft fitted with a Roll-Royce Kestrel II piston engine; three built for Portugal. Improved version of the Fury Mk I, three aircraft fitted with a 700-hp Hispano-Suiza 12Xbrs engine; three built for Spain. A Hawker Fury Mk.I, serial number K5674 , is owned by the Historical Aircraft Collection and based at the Imperial War Museum Duxford in the United Kingdom. This aircraft was delivered to the RAF in 1935 and allocated to 43 Squadron, where it was flown until 1939 by Flying Officer Frederick Rosier, later to be Air Chief Marshal Sir Frederick Rosier. 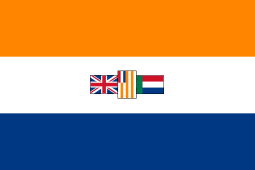 In 1940, it was sent to South Africa where it was flown by 13 Squadron (later 43 Squadron) of the South African Air Force. It was written-off after making a forced landing, due to running out of fuel. It was returned to the United Kingdom in 2003 and restored to flying condition, with the civil registration G-CBZP. It made its first post-restoration flight in July 2012. Norwegian Army Air Service operated one aircraft only. No. 1 Squadron RAF - February 1932 to November 1938. No. 25 Squadron RAF - February 1932 to October 1937. No. 41 Squadron RAF - October 1937 to January 1939. No. 43 Squadron RAF - May 1931 to January 1939. No. 73 Squadron RAF - March 1937 to July 1937. No. 87 Squadron RAF - March 1937 to June 1937. ↑ "Historical Listings: Iran (IRN)". World Air Forces. Retrieved: 19 May 2011. 1 2 Mason 1992, p.213. 1 2 3 4 Delve, ken (2008). Fighter Command, 1936-1968: an operational and historical record. Pen & Sword Aviation. pp. 248–253. ↑ Air International June 1980, p.286. ↑ Air International June 1980, p.288. ↑ Air International June 1980, pp. 288-289, 305. ↑ "Håkans Aviation page - Yugoslavian Air Force use of the Hawker Fury during the Second World War". Retrieved 2007-06-28. ↑ Winchester, Jim (2004). Fighter: The worlds finest combat aircraft-1914 to present. Parragon. ISBN 1-4054-3842-8. ↑ "Håkans Aviation page - South African Air Force use of the Hawker Fury during the Second World War". Retrieved 2007-06-28. ↑ Mason 1991, pp. 196-197. ↑ Green and Swanborough 1977, pp. 10-11. ↑ Mason 1991, pp. 205-206. ↑ Green and Swanborough 1977, pp. 12-13. ↑ "Hawker Fury". The Historical Aircraft Collection Limited. Retrieved April 2, 2013. ↑ Thetford Aeroplane Monthly January 1992, pp. 15–16. Bowyer, Chaz. The Encyclopedia of British Military Aircraft. London: Bison Books Ltd. ISBN 0-86124-258-0. Crawford, Alex. Hawker Fury & Nimrod. Sandomierz, Poland/Redbourn, UK: Mushroom Model Publications, 2007. ISBN 978-83-89450-41-8. "El Fury Español". Air International, June 1980, Vol 18 No 6. Bromley, UK:Fine Scroll. ISSN 0306-5634. pp. 285–289, 305. Goulding, James and Jones, Robert. "Gladiator, Gauntlet, Fury, Demon" Camouflage & Markings: RAF Fighter Command Northern Europe, 1936 to 1945. London: Ducimus Books Ltd., 1971. Goulding, James (1986). Interceptor - RAF Single Seat Multi-Gun Fighters. Shepperton, Surry: Ian Allen Ltd. ISBN 0-7110-1583-X. .
Green, William and Swanborough, Gordon. "Barrier Breaking Fury". Air Enthusiast Quarterly. Number Three, 1977. pp. 1–17. Janić, Čedomir; O. Petrović (2011). Short History of Aviation in Serbia. Beograd: Aerokomunikacije. ISBN 978-86-913973-2-6. Mondey, David (1994). The Hamlyn Concise Guide to British Aircraft of World War II. Aerospace Publishing. ISBN 1-85152-668-4. Thetford, Owen. "On Silver Wings — Part 16". Aeroplane Monthly, January 1992, Vol 20 No 1. pp. 10–16. ISSN 0143-7240. Weale, Elke C.; Weale, John A. and Barker, Richard F. Combat Aircraft of World War Two. Lionel Leventhal Ltd. ISBN 0-946495-43-2.